不可算名詞 [集合的に] 陶器類，焼き物 (cf. 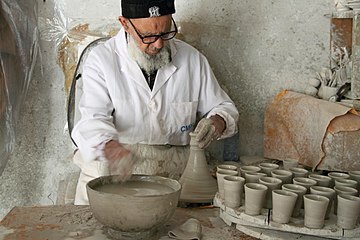 earthenware). I bought a piece of pottery at the souvenir shop.